First National Bank Zambia offers a range of personal banking products and solutions designed to meet your unique financial needs and help you reach your goals. They offer a wide product range which includes cheque accounts, transaction accounts, investment accounts, loans, and home loans. The Laurence Paul unit trust offers a convenient affordable and flexible way to invest with relatively higher yielding returns. The unit trust has several fund portfolios for investors to choose from depending on their individual risk profile and investment objectives. Clients can choose from income fund, equity fund and balanced fund. Citibank offers clients a full range of consumer banking needs and services including savings and transactional accounts, mortgages, personal loans, debit cards, and credit cards. The bank has the expertise to make your banking experience easier and your financial goals for the future more attainable. Choose from their range of savings accounts that are tailored for different needs and lifestyles. Indo-Zambia Bank offers competitive interest rates on savings accounts. The personal banking solutions includes personal accounts, electronic banking and loans. This bank provides the right tools to help you reach your financial goals. From day-to-day needs, savings accounts to help reach your goals and term deposits for certainty of investment return. NATSAVE's personal banking products include educational savings account, minor account, easy saver account, growth savers account, pensioners account and investment account. First Capital Bank Zambia provides an extensive range of convenient, easy and secure personal banking solutions that individuals will need to manage their finances. The bank's services include, but not limited to, accounts and cards. All services are tailored to meet the daily needs of individuals. 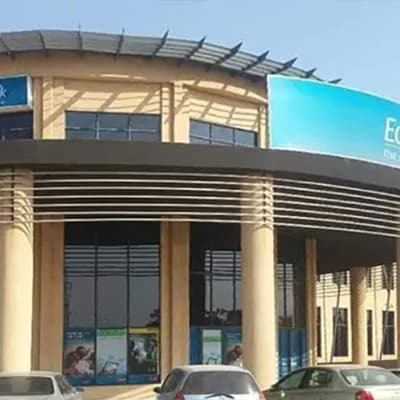 Standard Chartered Bank Zambia offers a wide range of banking solutions tailored to meet the needs of individuals including savings and current accounts, express banking, online banking, mobile banking and loans. The bank ensures that it makes its clients banking experience easier in order for them to achieve their financial goals. 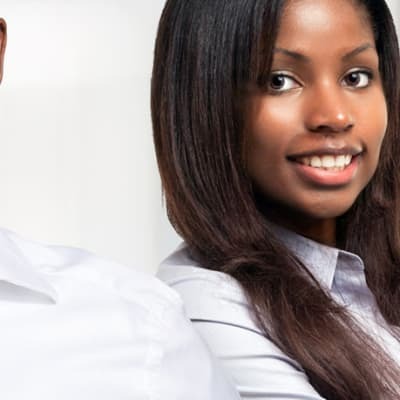 United Bank for Africa provides a wide selection personal banking services to individuals. The bank has a team of expert advisers who are always ready to listen and discuss their customers' wishes and plans. United Bank for Africa always strives to offer services that are based on its customers' individual needs. Whether you want to transact, save or borrow, Stanbic Bank Zambia offers the financial solution for you. With innovative products and services designed to evolve with your changing needs. The bank offers convenient services and products with online banking services for easy access to your account. BancABC Zambia offers its clients savings, current and fixed deposit accounts. For its clients' convenience, the bank provides a secure, fast and reliable 24 hour internet banking service. Focused on meeting its clients' needs, the banks products and services are tailored to give its clients greater control over their finances. Personal banking at Access Bank offers for retail customers a variety of current accounts to help customers manage their unique financial needs. Access Bank will help you save through our different savings options. Access Bank has a variety of card products suitable for individuals. With a wide selection of personal banking solutions, Investrust Bank focuses on understanding its customer's banking needs to tailor effective, comprehensive solutions that help them achieve their financial goals. Customers can always count on quick responses, hands-on problem resolution and an exceptional customer service. Zanaco provides a wide range of personal banking services to meet the specific lifestyles of customers. The personal banking solutions include personal accounts, electronic banking and loans. This service allows clients to access money from any Zanaco account using the card and PIN identification. First Alliance Bank Zambia offers current, premium, fixed deposit and foreign currency accounts to individuals. Premium accounts earn interest on daily balances with no restrictions on the operations of the account. Attractive fixed and short term deposits and the bank also offers various forex products with personal banking. AB Bank Zambia provides a diverse range of personal banking, wealth management and banking products and services to individuals. The services offered include savings accounts, current accounts, and loans to suit their customers' lifestyle and help then make the most of life's opportunities. Cavmont Banks provides personal banking services and products to retail customers with many choices for personal accounts, the bank helps you find an account that works best for you. The accounts are designed to meet your everyday banking needs, allowing you to manage your finances easily at any time of the day. Bank of China (BOC) offers a selection of personal banking solutions including term and current deposit accounts, outward and inward remittance, as well as foreign currency exchange services. The bank provides a perfect balance of personal banking services that are tailored to meet its clients' needs. FINCA Zambia savings products have been designed to help clients to build wealth and security for their future through sustainable savings. These accounts have attractive interest rates and flexible terms to suite your needs and help you achieve your goals. Finance Bank Zambia aims to help plan and organize your money in order to achieve your goals. This bank offers affordable products and services to meet specific needs of customers looking for personal banking solutions. The products offered include savings and transactional accounts, personal loans, credit cards and more. Whether you are a salaried employee, a trader or craftsperson or run your own company, Barclays can offer you a comprehensive choice of products and services that will give you personal control of your finances. Accounts include the Prestige current, the Tonse bank and bonus savings accounts.